It's that time of the year when we all start to think about ways we can improve ourselves and our lives. Some of us choose One Little Word to guide us, some of us make resolutions and some of us fight the trend and maintain our own status quo. Regardless of your personal choice, there's no doubt that beginning in January, many people start trying to be healthier. One of the ways we can be healthier, is to increase our water intake. There are a lot of health benefits to drinking water. Water makes up about 60% of your body weight, and is an important factor to your body's health. According to the Mayo Clinic, men should consume about 13 cups of water per day, and women should aim for 9 cups of water a day. You're safe with following the popular 8 8-ounce glasses of water a day "rule". I've always been a water fan, but I rarely drink my recommended amount. If you are a techie person, you may track these drinks on an app. If you are a paper connoisseur, you may use stickers or marks in your daily planner or on your calendar. 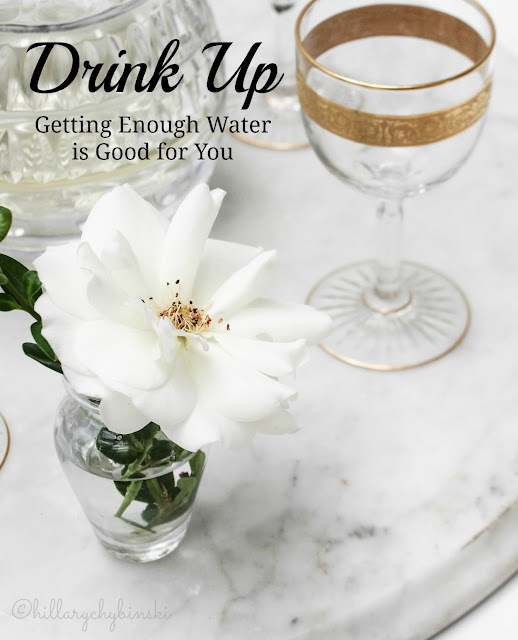 Whatever your method, to maintain good health, you need to drink up. That means having water available all day long. During my lifetime, I have seen the rise in popularity of plastic water bottles. Both the sports varieties that fuel athletes and the kind you buy at your local market. But I've also read about the dangers of BPAs (a chemical used to make plastics) and the detriment to our planet from too many trashed plastic bottles. According to some reports, 1500 bottles of water are consumed per second in the US, and according to reports, nearly 80% of those end up in landfills, despite efforts to recycle. While attending the Type-A-Parent Conference in Atlanta last year, I spent some time with the folks from Icebox Water. What's Icebox Water? It's a company focused on providing consumers with an alternative to traditional bottled water in the form of a more sustainable package composed of paper. Icebox Water sent me two cartons to check out, a. 8.45 fluid ounce carton and a 16.9 fluid ounce container. They remind me of milk cartons. 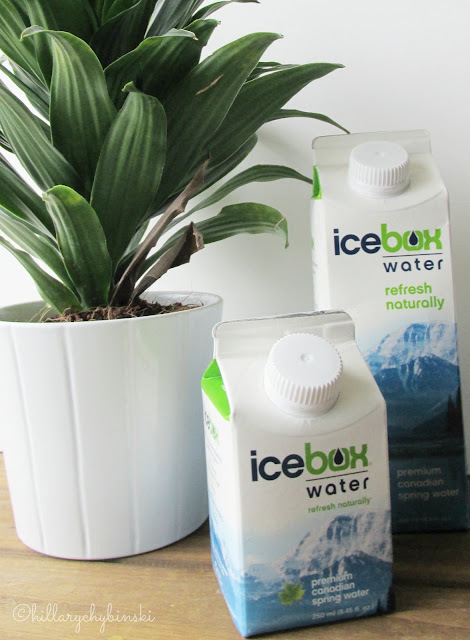 Icebox Water offers crystal clear spring water from Canada’s True North Spring in recyclable, paper cartons. Its natural spring water has been purified on its journey through a natural glaciomarine aquifer and is protected from human interference and contamination. Because the natural spring water is drawn from so deep underground, it is completely pure and free from contaminants. Icebox Water’s BPA-free cartons are 100% recyclable, reducing plastic pollution with each purchase. Sounds like a good alternative for water on the go, right? We all agreed that it tastes great too! I can be really particular about my water, and I prefer mine in a reusable glass water bottle. But the Icebox Water had a clear, crisp taste with no aftertaste at all. The cartons fit nicely in my refrigerator because of its square shape. Icebox also packs well in a cooler or lunch bag. 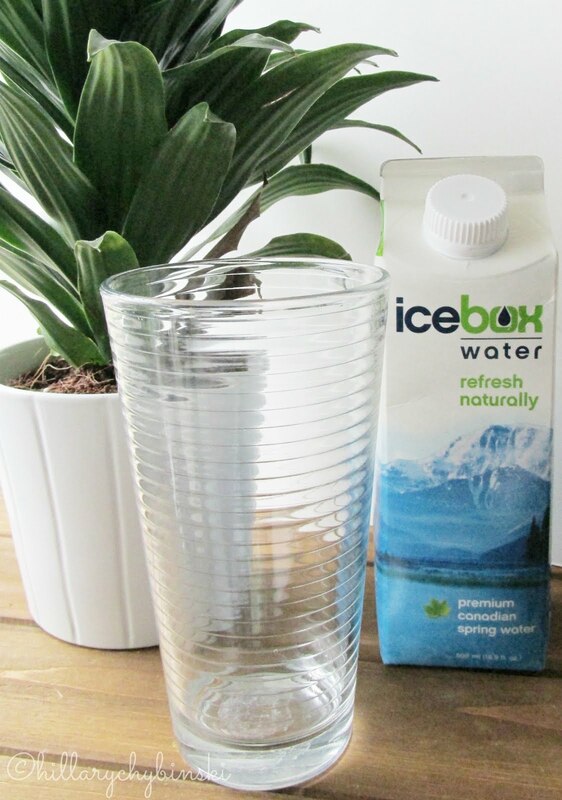 You can purchase Icebox Water for yourself online or in retailers throughout the country including Whole Foods Market, Albertson’s, and Mother’s Market. You can find out more about them on Facebook, Twitter and Instagram. So how will you drink more water this year? So funny. I just purchased boxed water for the first time. It's so great to get it out of plastic bottles! you need to drink up. That means having water available all day long.